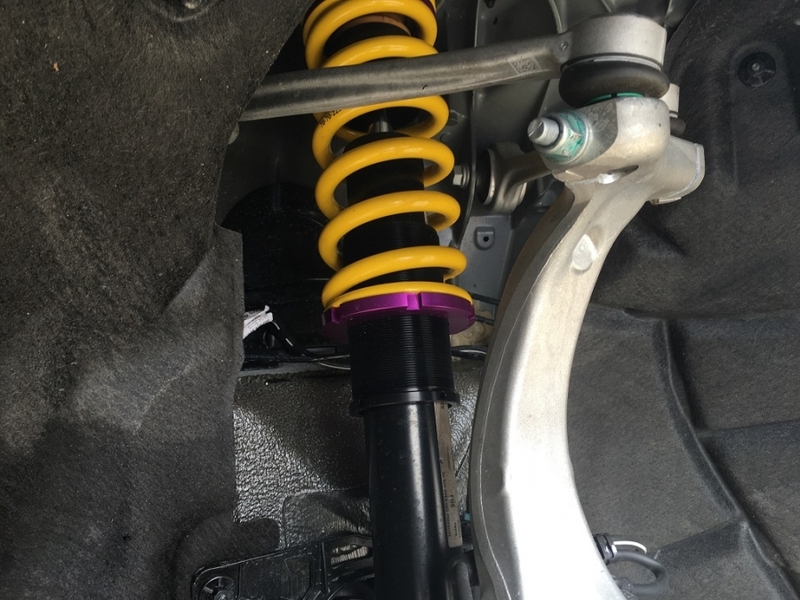 Compared to conventional springs, the KW spring kits allow a continuous lowering, similar to coilover kits. When installing, the series springs are replaced by KW springs with level control. Afterwards, in combination with the series dampers, an individual lowering can be adjusted within the tested adjustment range of 20 – 45 mm.